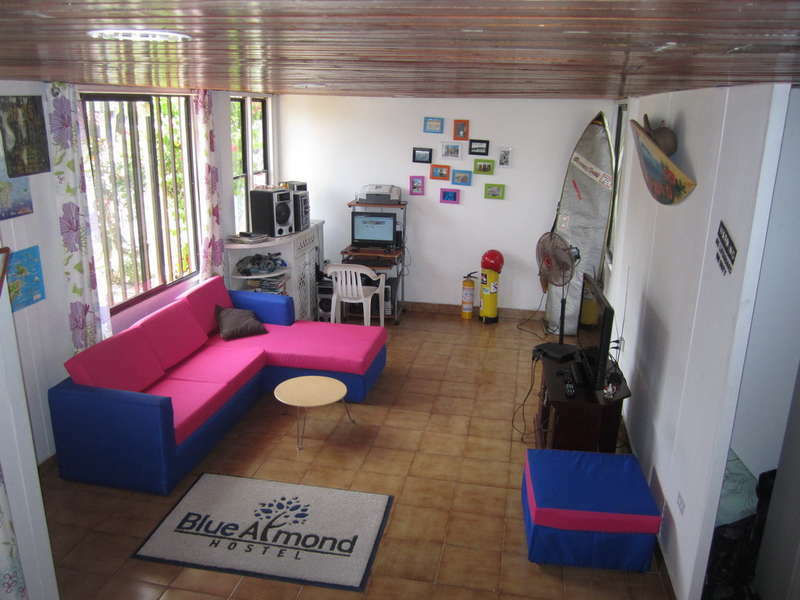 Only a 20-minute walk from the main beach at San Andres Island, Blue Almond Hostel offers budget accommodation with free WiFi and common facilities. Diving and snorkeling activities can be booked on site. Bikes, golf cars and scooters can also be rented to explore the island. Additionally, we offer free surf boards and dive tanks for scuba certified guests that bring their own diving equipment. 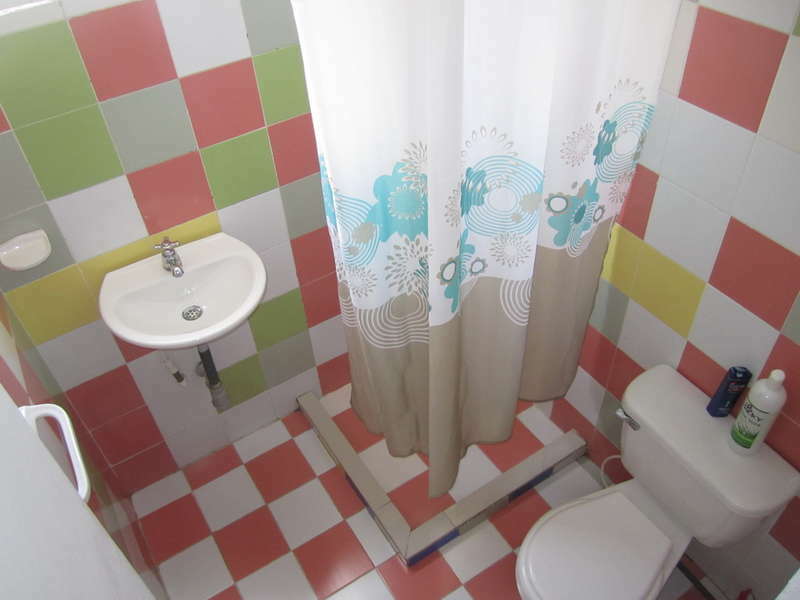 Our rooms are all in different sizes, big enough to fit all the commodities you would need, there is a large communal kitchen with all facilities, appliances, crockery and cutlery available. Our common area is a great place to chill out and meet fellow travelers with TV, Play Station 4, board games and a Bluetooth speaker, perfect for a lazy day after a scuba diving immersion, a surf trip or a night out. Our common areas are also the perfect spots to pre-drink and start out the night the right way. 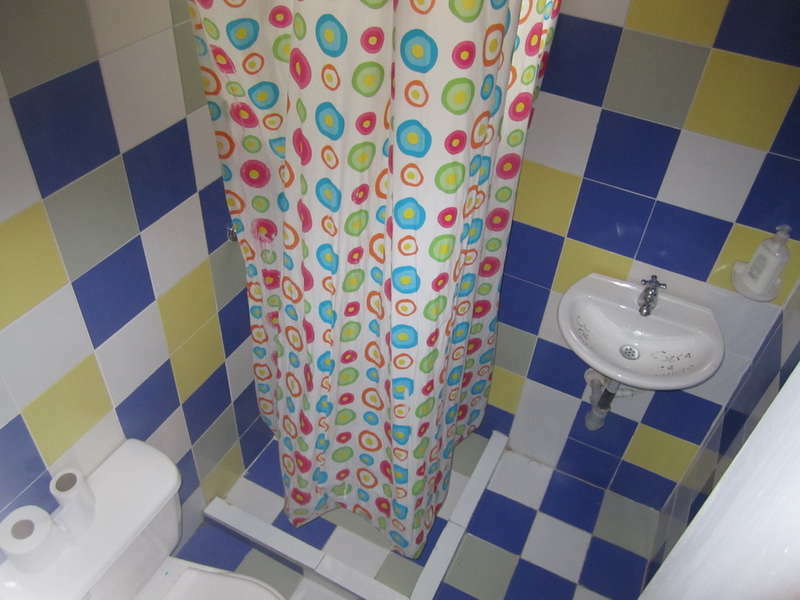 We work very hard to have a very respectful and peaceful vibe without the crazy drunken atmosphere offered at other hostels in the island. Our goal is to make you feel like you own a home in the Caribbean and provide you with great social atmosphere, as well as giving you the opportunity to have a good sleep after a busy day of sightseeing the island, we have a strict quiet time of 11.59 PM, but we apply the 80-20 rule, which means that if 80% of the people staying at the hostel want to stay up partying then we move the quiet time accordingly. The hostel is located in the residential area called 'Los Almendros' This is a medium size neighborhood built in the 70's by Dutch contractors using the sand taken out of the ocean to build the canal for big cargo ships. The exact address you should take a Taxi driver is: Barrio Los Almendros Manzana 4, casa 3 (frente a la antigua defensoria del pueblo). -A taxi from the airport should charge you $15.000 COP ($21.000 after 11.59 PM) all taxis in the island are safe. -A taxi from outside the airport should charge you between $7.000 to $10.000 COP depending on your negotiating skills and the amount of bags. -A bus cost $2.500 and runs every 45 minutes from 6 AM until 7 PM. Ask the driver to stop at the In Fitness Gym on the second entrance of 'Barrio Los Almendros'. -A Moto-taxi should charge you $2.500 to $3.000. We don't recommend taking this type of transportation. All these prices on the previous list are informative, make sure you agree to a price you feel comfortable paying before boarding any type of transportation. From the hostel is a 10 minute walk to downtown, 20 minutes to the main beach and about 25 to 30 minutes from the airport, for your own safety we highly suggest you not to walk from the airport at any time as you would have to walk through a dodgy neighborhood.